In a previous post, I detailed a dispute with Hawaiian Airlines about its failure to advise us that it no longer provided mileage credit to partner American Airlines' AAdvantage members for flights between the continental United States and Hawaii. I'm pleased to report the airline responded positively to my request for some sort of compensation. By way of background, when my wife and I booked our September trip from Seattle (SEA) to Maui (OGG), we decided to fly Hawaiian Airlines (NYSE:HA). After booking on line, I called the airline's reservations desk and asked that the miles be credited to our American Airlines AAdvantage accounts for several reasons. The agent did as requested, and our AAdvantage numbers appeared on our boarding passes for our outbound and return flights, so I assumed that we'd get our 2,600 miles each way in due course. 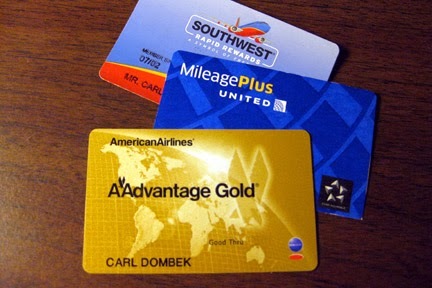 What the agent failed to tell us -- and, I contended, should have told us -- was that Hawaiian had stopped issuing credit on American for flights between the Lower 48 and Hawaii almost a year earlier. I believed the agent should have known that and told me at the time of my request. Instead, she took our AAdvantage numbers and gave no indication at all that there would be a problem. However, more than two months after our flights and after two conversations with American Airlines AAdvantage representatives, I learned that Hawaiian Airlines had discontinued mileage credit for our types of flights. I was furious and sent an e-mail to Hawaiian Airlines Consumer Affairs on Nov. 13 outlining my issue and asking for some sort of compensation. On Dec. 5, I received a response from Hawaiian Airlines apologizing for the issue. "As a customer, you are our valued guest, so there’s never an acceptable excuse when you receive poor service," customer resolution coordinator Ron Alcantra wrote. "We will continue to coach our employees to provide the high-quality, friendly service you should have received." In addition, Hawaiian provided my wife and me each with a $50 credit for a future flight on Hawaiian. The credits expire in a year and we may not go back to Hawaii before Dec. 7, 2014, so the vouchers may end up having no cash value to us. Still, the fact that the airline heard our complaint, acknowledged an error, and took action to make it right makes me feel much more positive toward the airline than I did previously. There are a couple of take-aways from my experience that might benefit many travelers, whether the issue was with an airline, hotel, or some other sort of travel purveyor. First, if you believe you have been wronged, SAY SOMETHING. Be polite -- perhaps even more polite than I was in my original e-mail -- be clear about what has happened and, equally important, what you want in return. Second, HAVE AN "ASK". If you just want to vent, tell a friend, but if you believe you're due some sort of compensation, tell the vendor. Don't ask for the moon, but don't ask for too little. Either way, you risk appearing inexperienced, naive, or greedy. In our case, free round trip tickets for our next jaunt to the islands would not have been in line with what happened. Still, the lost miles represented lost value, so I felt justified in asking for "some sort of compensation." Hawaiian Airlines' providing a total of $100 for over 10,000 lost miles was less than the commonly accepted value of about two cents per frequent flier mile, but then, I didn't ask for any specific compensation; they offered, and I accepted. Third, BE PERSISTENT. If at first you don't succeed, escalate the matter to the next higher level. For example, if you didn't get a satisfactory response from the front desk clerk, ask to speak to the MOD (manager on duty). If speaking the MOD doesn't help, contact the property's general manager. Fourth, KNOW WHEN TO QUIT. If your breakfast was cold and it was taken off you bill, that's about the best you can hope for. Even if nothing was offered in exchange, your time is worth something. In most cases, if you haven't received the response you'd hoped for after two or three letters or e-mails, it's probably time to move on. Although next time, you may be moving on with a different airline, hotel chain, or rental car company.